If there are exercises that you find yourself frequently using in the exercise programs that you set up for patients, you can make finding them easier by adding the exercise to your favourites. Hover over the thumbnail for the exercise that you would like to add as a favourite. The image will begin to move, and you will also see a star appear above the image and an edit button in the top right corner. Click the star to add this exercise as a favourite. It will now go yellow. 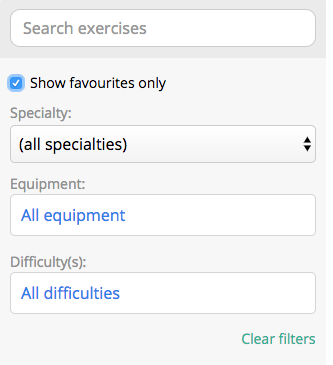 Alternatively, click on the exercise that you want to mark as a favourite to open the preview window. When the exercise preview video is open, click on the star symbol in the top right to add to your favourites. 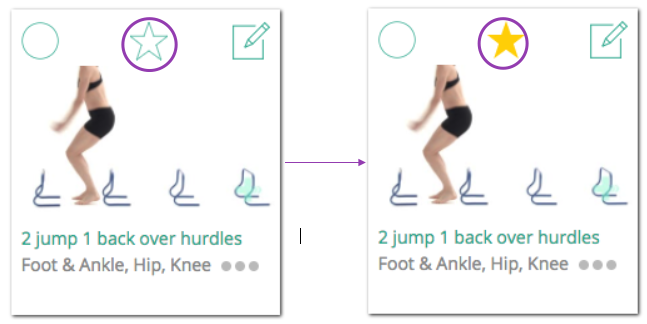 Your favourite exercises automatically appear at the top of your screen, marked with a yellow star.